In 1897, after months of intrigue and negotiation, during which Mahler converted to the Roman Catholic faith, he was installed as the Music Director of the Vienna Opera House. This was arguably the most prestigious job in the music world, at the end of the 19th century. MTT is discovered in a lavish suite at the Bristol Hotel, where Mahler stayed for his first few months in Vienna: this was the HQ, from which he waged an almost military campaign, to lick the somewhat self-satisfied opera company (just across the street) into shape. Critics were divided in their opinions, in this profoundly political city: was Mahler too compulsive in his attention to detail? Too radical in his treatment of the musical repertoire? Too manic on the podium? The caricaturists had a field day, many of the orchestra objected, and several of the staff were summarily fired. But the first few years of Mahler's tenure brought a radical new approach to the opera's productions, from the new electric lighting and special effects to the hiring of the latest and most fashionable stage designers. To relax from Vienna and refresh his creative muse, Mahler built a house on the shores of the Werther Lake in South-eastern Austria, which MTT visits. It is still in private hands, and remarkably unchanged, even down to some of Mahler's original furniture. Up in the woods behind the house, he built a "Composing Hut" and set to work on the Rückert Songs – some of his lightest, most unashamedly "happy" works. So, in MTT's words, "he had a great job, a great house, now all he needed was a great wife." 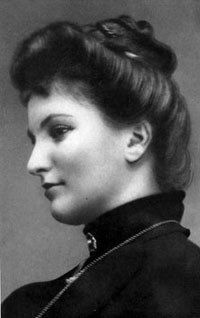 In the winter of 1901/2, he found one: the ravishing society debutante, Alma Schindler. In March they were married, and that summer was the first of five perfect annual vacations, when Mahler's creativity was unstoppable: the 5th, 6th, 7th and 8th symphonies were completed here. The Adagio from the 5th was probably the closest he ever got to an undisguised outpouring of love and happiness. Yet, in his 7th Symphony (as in almost all his works), there were memories of past grief, irony and self-doubt. In the scherzo movements in particular, as MTT explains, strange instruments and uncomfortable juxtapositions combine to create a sense of unease. Or were these all premonitions? The "hammer-blows of fate" from the 6th Symphony seemed to be meant for Mahler himself when, in the summer of 1907, his much-loved daughter died of diptheria during a night-time thunderstorm at the lakeside house. In turn, Mahler was diagnosed with heart-disease, left the lake house for ever and, after a series of bitter misunderstandings, quit his job with the Vienna Opera. New York seemed to offer new beginnings to the couple. From an apartment overlooking Carnegie Hall, MTT explains that this new vision was soon tarnished: the city proved to be even more politically complex than Vienna, and it became clear that Alma was distracted by new liaisons with other men. In these last years, however, Mahler reached new heights of creativity by escaping back to his beloved European mountains. Here he wrote The Song of the Earth, the masterful 9th Symphony (in which, as MTT explains, Mahler utterly reveals himself) and the heart-breaking and unfinished 10th. 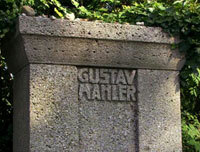 In 1911, aged just 51, Mahler died. At his austere graveside in the pretty Vienna suburb of Grinzing, MTT pays homage to him, explaining his pivotal importance both in the history of music and in MTT's own life.